Come and refine your sewing skills. This is a button-down shirt that won't gape over curves. 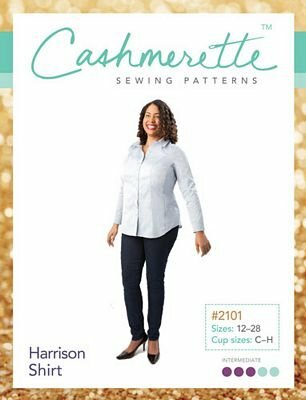 Designed with double princess seams for a curvy friendly fit, this pattern features classic tailoring details: a two-piece collar, yoke, and placket, separate button bands, and buttoned cuffs. We will cut our shirt out during our first class so please have all material ready to go.